Sometimes washing face can seem next to an impossible task. This can happen due to many reasons. Maybe you are super busy or not carrying your cleanser. That's when you have the face cleaning wipes. These wipes are already saturated with cleaning product and you don't need a separate cleanser and water to cleanse your face. 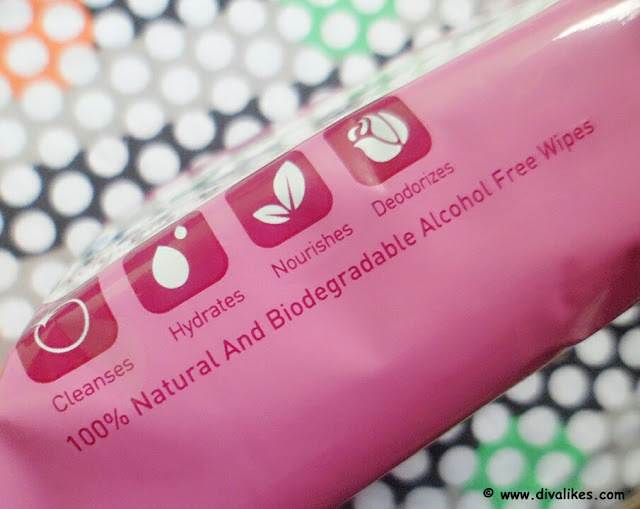 These wipes come to rescue if you want to quickly freshen up. Also, these wipes come in various types targeted to meet your specific needs. I swear by these wipes during summer when the weather is hot, humid and you sweat a lot. 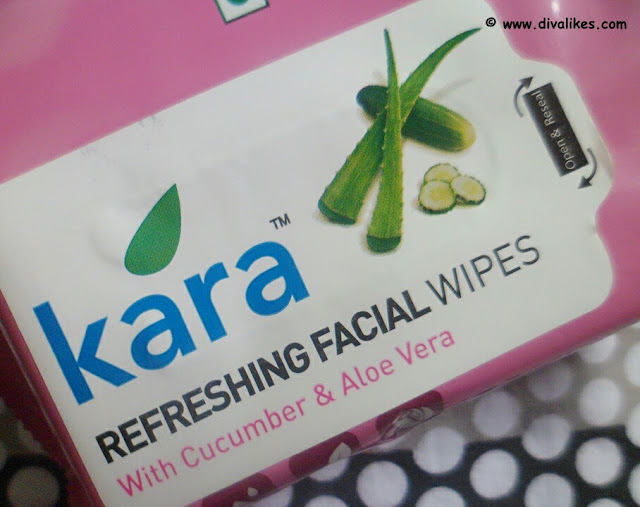 In my latest haul, I received Kara Refreshing Facial Wipes with Cucumber & Aloe Vera. This is the first time I am using a wipe from the Kara brand. So let's see if it managed to impress me or not. 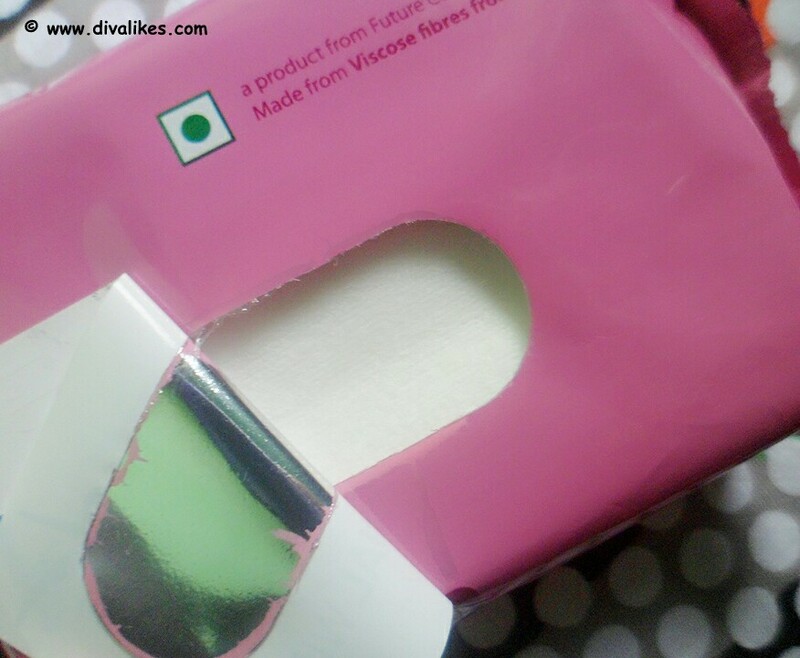 The gift of pure nature, Kara wipe is made up of Viscose Fibre that is 100% natural. Each wipe is brought to you in its untouched innocence. Kara Refresh Facial Wipes ensures effective cleansing to remove dirt, excess oil and grime from the face and neck area and also leaves a lingering fragrance. They are enriched with Aloe Vera for skin nourishment, Cucumber extracts for effective freshening. Water, cucumis sativus fruit extract, cyclotetrasiloxane, peg 12 dimethicone, phenoxyethanol, methylparaben, butylparaben, methylparaben, propylparaben, isobutylparaben, divinyldimethicone/dimethicone copolymer, c12-13 pareth-23, c12-13 pareth-3, polysorbate 20, sodium polyacrylate, dimethicone, cyclopentasiloxane, trideceth -6,peg/ppg 18/18 dimethicone, fragrance, disodium edta, aloe barbadensis leaf juice, monthly lactate, menthol. Alcohol free. 1) Slowly peel front label. 2) Pull out a wipe. 4) Open and unfold wipe. 5) Thoroughly wipe face and neck. 6) Discard wipe after single use. Kara Refreshing Facial Wipes with Cucumber & Aloe Vera comes in a pink packaging. It contains 20 facial wipes. A pack of 10 wipes is also available. The pack has a small opening from which one can take out the wipes and reseal it with the sticker that is present on the opening. 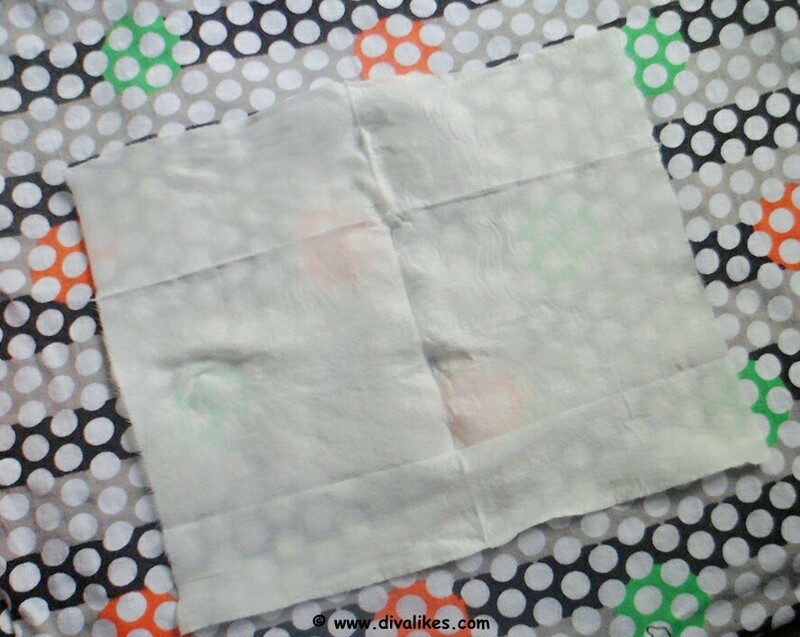 These wipes are of the size of a normal tissue paper. The texture of the wipes is thick but not rough. It's so soft that I even wipe my eye area with it and it is comfortable. It has a mild cucumber-like fresh fragrance that lingers on for 3-4 hours. I generally keep it in the refrigerator and it feels good to use it when it's cool. It removes all the dirt and grime in a single swipe along with some light makeup. If you are wearing heavy makeup, multiple swipes will do the job. It instantly freshens up and uplifts the mood. It leaves the face clean, moisturized and fresh looking. It has aloe vera in it which is a magical ingredient. 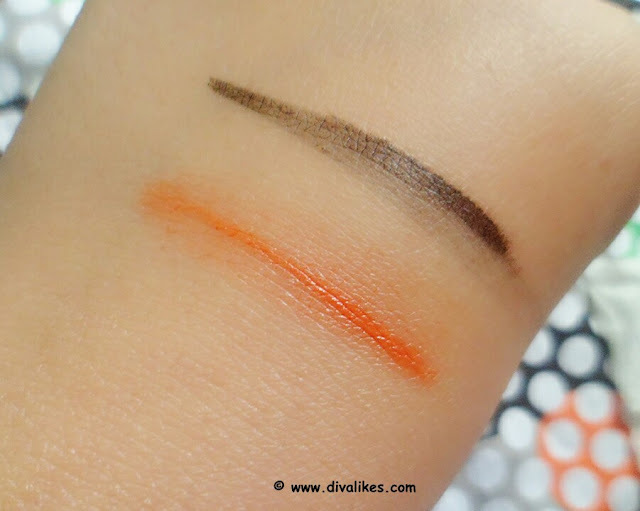 In the first picture below, I have used a single swipe of the wipe on lipstick and gel eyeliner. You can see it removes half of it. In the second picture, I have used multiple swipes of the wipe and it completely removes the makeup. Very soft and gentle on the skin. The fragrance is refreshing and lingers on for long. Leaves the face clean and refreshed. Leaves the skin soft and moisturized. Kara Refreshing Facial Wipes with Cucumber & Aloe Vera is something everyone should carry in the bag. It's handy and easy to take anywhere. It instantly freshens up dull, tired face and the fragrance uplifts the mood. I have found that Kara also has sunscreen wipes and I am eying them now. 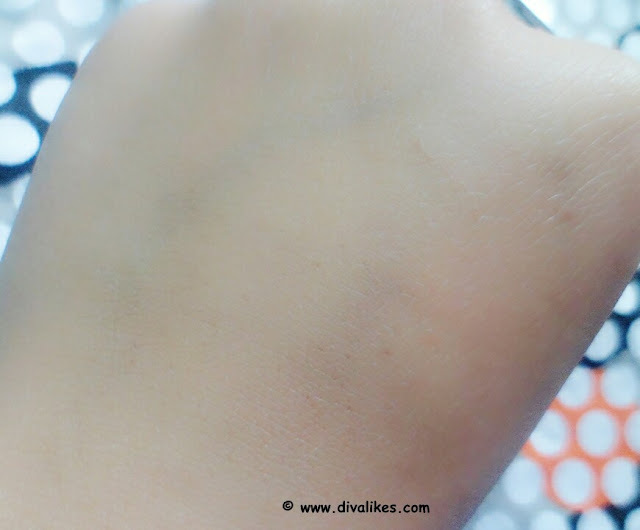 So a thumbs up for this and is definitely a must have product from my side! Good job at a decent price! Sounds quite nice. 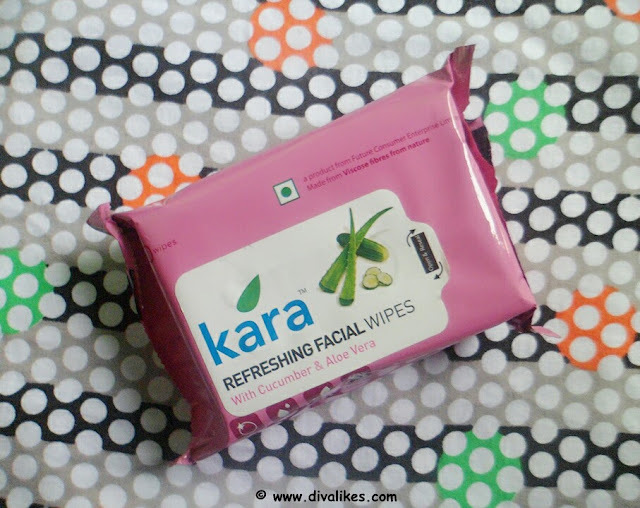 I have used Kara wipes, don't recall the name but they are so gentle on the skin and I absolutely loved using them.